This is another one of those meals that I’m almost embarrassed to post. However, fifteen minutes after I turned on the oven and the stove, I was sitting down and enjoying my dinner. This really is the epitome of a quick weeknight meal, and it’s just perfect for those nights that you’re exhausted and hungry. This is faster than takeout or delivery, and it doesn’t result in a lot of dishes (which automatically gives it high marks in my book). 1. 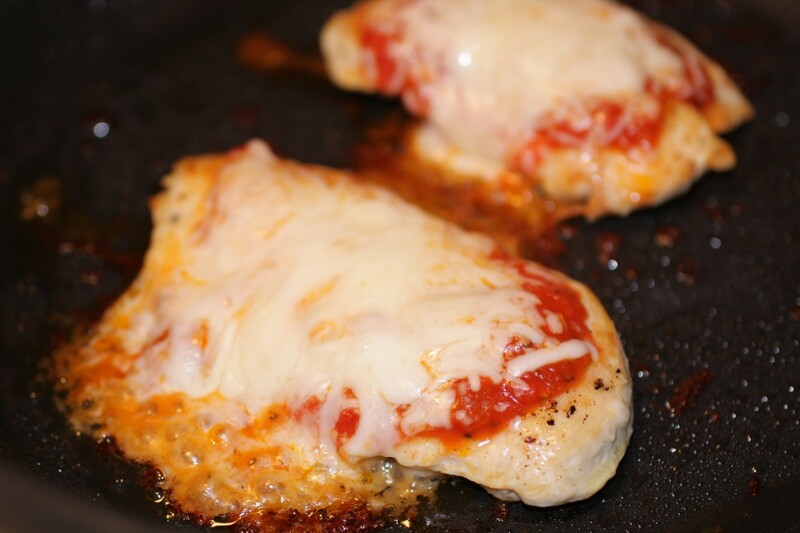 Heat the broiler and heat a non-stick, oven-proof skillet over medium high heat. 2. Slice the chicken breast in half lengthwise with a very sharp knife (alternatively, you could pound the chicken breast so it’s very thin, but this method is simply faster). Season both sides with salt and pepper. 3. 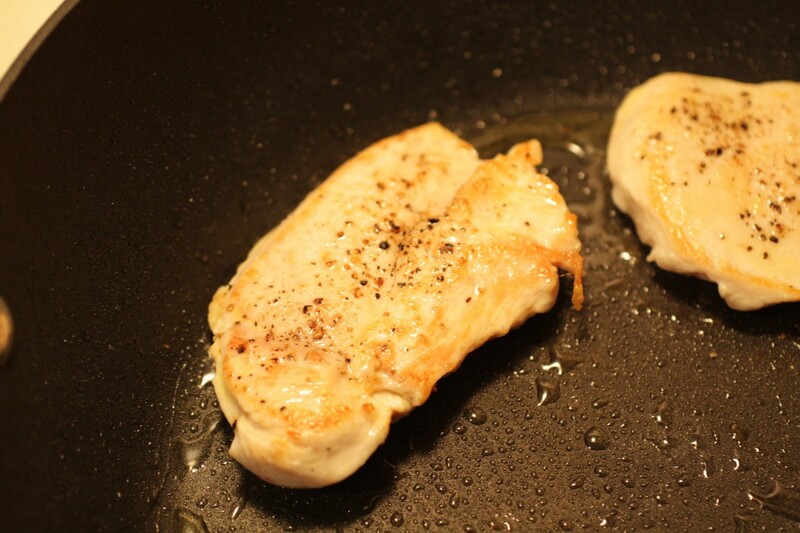 When pan is very hot, drizzle with a little olive oil and add the two halves of chicken. 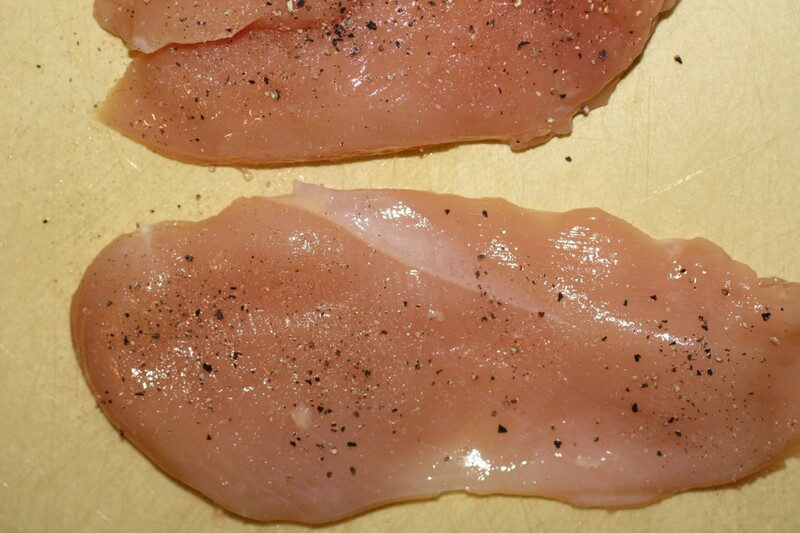 Flip the breasts over when the underside has a nice brown color, about 2 minutes. 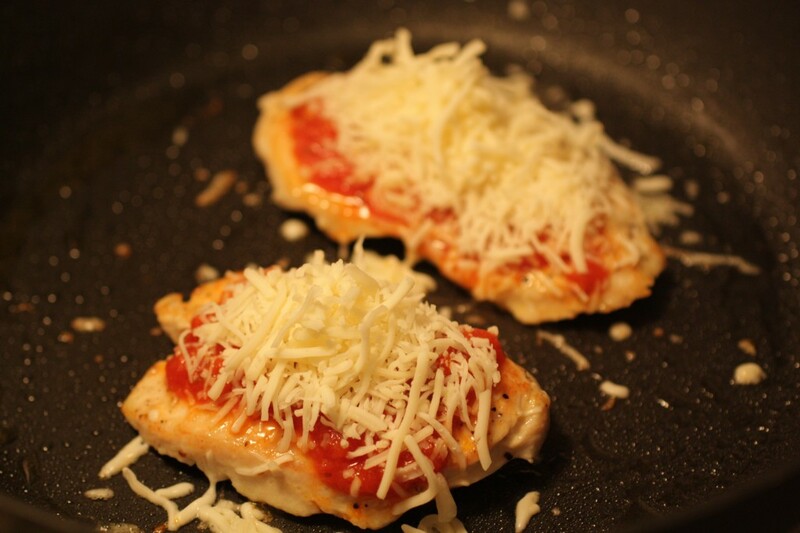 When the second side has also browned (about another two minutes), add two spoonfuls of marinara to each breast and top with the mozzarella and parmesan. 4. 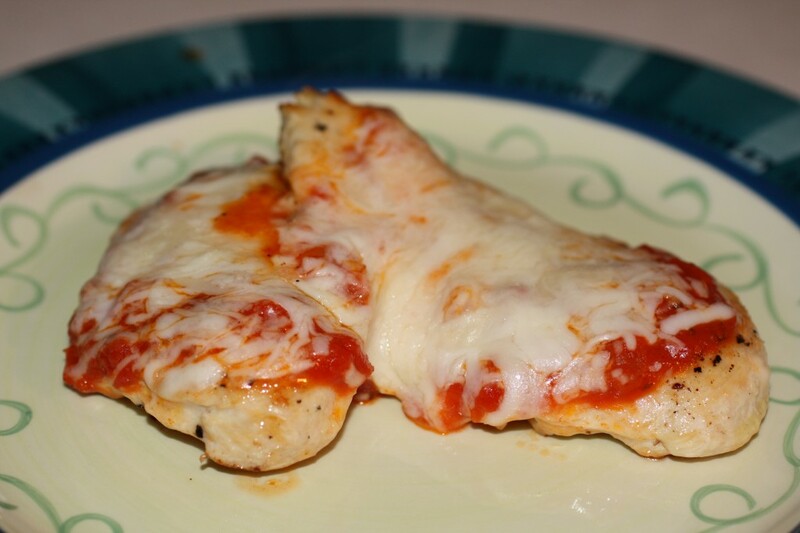 Throw the pan under the broiler and broil until the cheese melts. Remove from the oven and allow to sit for about a minute or so. Remember – the pan handle is HOT!